In a recent blog, we talked about how to differentiate between Sophos licenses based on the large volume of questions we receive about it. Continuing that trend, today we wanted to talk about another licensing topic we often get questions about: Meraki Insight. Want to learn more? Download the Meraki Insight Ultimate Guide here. Fortunately, this is a lot less complicated than Sophos licensing. One of the nice things about the Meraki ecosystem is that their licensing is relatively straightforward, with only a few options beyond how many years a license is good for. You don't need a huge spreadsheet to figure out Meraki licensing! However, since we still get quite a few questions, let's quickly clear a couple things up. Meraki Insight is a software addon to any MX-series security appliances. Insight gives you unprecedented... insight... into connection issues, from end to end. 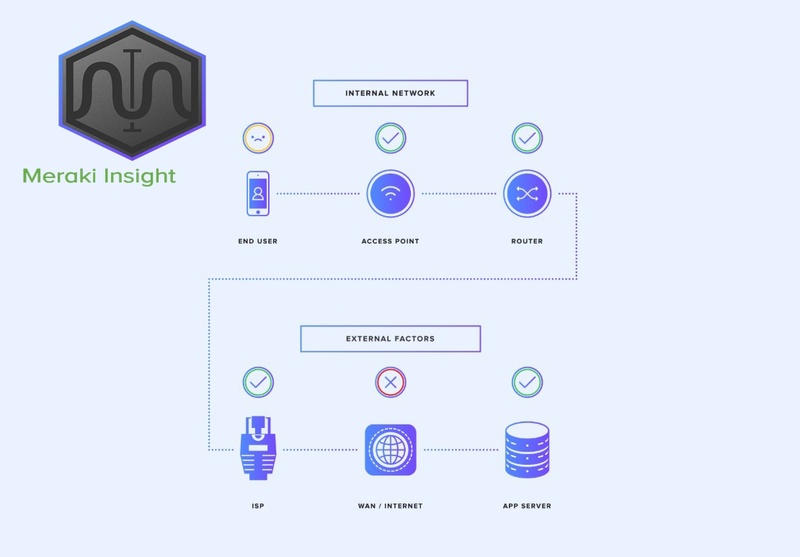 Whether a network problem is happening at a remote server, on your end, or somewhere in-between, Insight can help you discover the problem and -if possible- work around it. When it comes to Meraki Insight licenses, there are only two factors you need to worry about. Like all Meraki products, Insight can be licensed for periods of 1, 3, or 5 years. This is indicated by the final chunk of the license product number, which is either -1YR, -3YR, or -5YR. So, for example, the license LIC-MI-M-3YR is a Meraki Insight license for medium-sized businesses running either MX84 or MX100 hardware, and lasts for three years. Or LIC-MI-XL-5YR would be a five-year license for extra-large organizations running MX450s. It really is that simple. Just a glance at the license should tell you which one is right for your business. Meraki may have simplified licensing, but they still have a vast product range with options suitable for business of all sizes. Whether you're a startup or a multinational organization, Meraki can bring you the absolute cutting-edge in networking power and flexibility. Contact Hummingbird Networks for a full consultation on your needs.